Anyone involved in helping children develop social skills – whether parent, teacher, or therapist – quickly realizes that broad and abstract instructions are not helpful, and often counterproductive. Phrases such as “be more open,” “follow their lead,” or “put more of yourself into it” are certainly not helpful for literal thinkers. And so that leads to instruction in social pragmatics: the micro-steps involved in daily communication: reading facial expressions, perceiving emotions, and using body language. These skills are the seeds of emotional intelligence. Helping children understand social conventions requires us to discover habits and perceptions that we use unconsciously. Just how do we know that someone is disappointed, by looking at her face? How does a person’s posture indicate to us that he is seeking approval? How can we tell when that hand on the shoulder is meant to be a gesture of friendly support, rather than a stern reminder? In all our social interactions, we are constantly translating people’s expressions, movements, and vocal tones. We are also conveying massive amounts of information to others: what we think, feel, and intend. Even in the best of circumstances, when that information is conveyed without artifice or subterfuge, there is ample room for bewilderment. Attempting to explain how to interpret social cues in rapidly evolving situations can seem particularly difficult. Suppose you have a withdrawn 8-year old boy who is having trouble making friends. 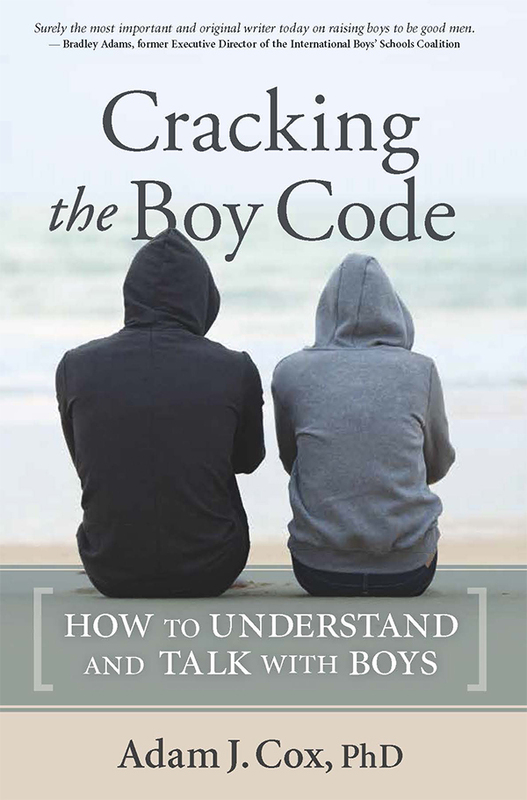 You might suggest, “try smiling at the other boys.” But of course, you really can’t have an exact understanding of the situation in which that boy might remember your advice. 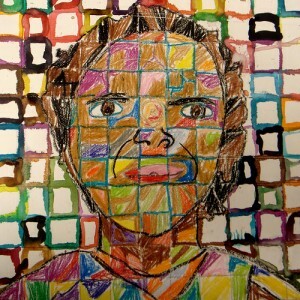 Maybe another boy – the prospective friend – is so inattentive he doesn’t register the smile, or maybe he’s an emergent bully, and sees the smile as a sign of weakness. Discuss Social ConventionsBehavior doesn’t exist in a vacuum. Don’t assume a child understands that place and time change the “rules” – say so explicitly. “We can shout on the playground, but not in the classroom.” “We can tell bad jokes to our friend, but not to a police officer.” With adolescents, the social terrain grows steeper. Sorting out your feelings of attraction for a classmate in a private journal? Good idea. Sharing those same thoughts with a casual acquaintance? (Quietly at lunch, or loudly on a public bus?) Questionable. Putting those thoughts onto Facebook? Very risky.What if social conventions are harmful? Navigating these situations with a teen who is challenged to perceive and convey nuance is particularly difficult. Parents of teens with social skills deficits are in a double bind: often the same kids who are most technologically adept lack the ability to navigate the social landscape. This is where a social skills group can be extremely helpful, because you can build consensus about appropriate behaviors and boundaries among peers. New Rules: Pragmatic Cyber-communicationAs soon as kids are wired up, they are at risk. Stopcyberbullying.org is a good resource to orient yourself to the potential dangers of communication technology – be aware that it starts early, and that many kids are experts at concealing their involvement. Because texting and Facebook account for the vast amount of pre-teen and adolescent discretionary time, this is the venue in which most social communication occurs.In my current research for the International Boys’ Schools Coalition, I’ve interviewed boys around the world, at a range of schools, from a variety of social, economic, and racial backgrounds. Nearly 80% of boys agree that they’d like to give up Facebook, but they feel they can’t unless everyone else does too. So, clearly adolescents need coaching on how to communicate online – but it’s questionable whether adults possess the insight and skills necessary to guide this sort of social interaction. Many of us just haven’t had enough experience, and we may have no experience with what it’s like to grow up online. The issue is made even more complex because much of this communication is done in private. Trying to convince adolescents to give up their privacy is a losing battle. The secrecy of texting is partly what makes it so exciting for young people. Romance, for example, has always been heightened by secrecy. It’s just that in years past, there were practical limits to how secret one could be; a teenager’s feelings were literally tethered to place by a phone cord. In my clinical work, I am frequently asked how to manage the situation, and I wish I had a perfect answer. Adopting a strategy of containment, such as limiting online time or denying access to cell phones, won’t work for long. However, I do think kids get phones and laptops way too early. I know they can understand how to use them by age nine or ten, but they don’t have the judgment to use them well until thirteen or fourteen. I hope I don’t sound like a Luddite, but those pre-teen years are crucial for learning face to face social skills, and you can’t turn the clock back once kids get plugged-in. If you have to go digital – buy a Kindle, Nook, or some other e-reader. They’re a blast, and they are low risk. The most proactive strategy is to discuss the substance and style of texting ahead of time. Discuss where it’s okay to be brief and glib, and where a more considered expression of feelings or thoughts is needed. In my family, we joke about how public figures might text one another, as a way of relating persona to communication style. We also discuss what might have happened if we vented the feelings we had yesterday, before the events of today occurred. These mini discussions are actually a way of exploring metacognitive social awareness (7th Pillar of executive function), even though they just feel like interesting dinner time banter. I believe they set the stage for communication outside of the family. Repetition and RehearsalWe accept that learning to play a sport, master a foreign language, or play a musical instrument takes years of practice. Social skills require a similar commitment, particularly in the age of electronica. There are really two issues to consider. One is that the distractedness and self-absorption of kids has made it harder for them to make the external observations and connections that lead to social insight. Second, the demand for social performance has increased. Almost everyone seems to agree that social perception is essential to life success – but few people appear ready to discuss the coordinated effort these skills require.It’s interesting how we subconsciously make the distinction between developing a talent/skill and intelligence. We can be emphatic and committed to developing talent, whether in the arts or athletics – and incredibly passive when it comes to developing something we think of as an aspect of innate intelligence – like social skill. Why? Because we tend to assume the latter is resistant to improvement – that one simply has to play the cards they have been dealt. Another challenge is determining who will provide and supervise this practice. My sense is that most parents want to help, but often feel underqualified. I think schools see these skills as outside the realm of their responsibility, and there are very few therapists who specialize in this type of treatment. There is a double standard when it comes to dedicating resources to social skills training. If students in a region lag behind in math skills, there is an immediate push to improve those skills, because we believe that such improvement is essential to prosperity. There is much talk about the importance of social skills to vocational life as well – but where is the push to take action? Given all that we have learned about the value of emotional intelligence to life success, how can it any longer be reasonable to make those skills secondary to math and science? Psychology researchers at Purdue University recently found that if students practice memory recall they will remember more than if they rely on other learning techniques. The researchers compared students that learned by using concept maps versus a second group that practiced retrieval. 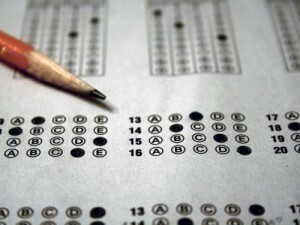 They found the students who practiced retrieval (such as taking practice tests) did significantly better in long-term retention tests.Teachers often rely on learning activities that encourage elaborate study routines and techniques focused on improving the encoding of information into memory. But, when students practice retrieval, they set aside the material they are trying to learn and instead practice calling it to mind.Concept mapping requires students to construct a diagram-typically using nodes or bubbles-that shows relationships among ideas, characteristics or materials. These concepts are then written down as a way of encoding them in a person’s memory. This technique is used extensively for learning about concepts in sciences such as biology, chemistry or physics. In the Purdue study, total of 200 students studied texts on topics from different science disciplines. One group engaged in elaborative study using concept maps while a second group practiced retrieval; they read the texts, then put them away and practiced freely recalling concepts from the text. After an initial study period, both groups recalled about the same amount of information. But when the students returned to the lab a week later to assess their long-term learning, the group that studied by practicing retrieval showed a 50 percent improvement in long-term retention above the group that studied by creating concept maps. This, despite the students’ own predictions about how much they would actually remember. “Students do not always know what methods will produce the best learning,” noted one researcher, in discussing whether students are good at judging the success of their study habits. Q. You’ve written a lot about kids needing some type of job or what you call “purposeful work.” Can you be more specific about what that is and when my son should start with something like this? First, I believe kids as young as seven or eight are ready to have some type of meaningful job in their life. Work makes everyone feel more important, useful, and creative. But work is not the same thing as labor. Simply assigning routine chores is not a substitute for having a job that requires problem-solving and discipline. 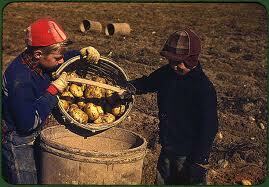 Hands-on work is a great option because most young people don’t have enough of that type of work in their lives. There is no perfect job. Please don’t spend weeks trying to discover the perfect choice. Simply help your son pursue what is available, emphasizing that purpose is found by immersing oneself in a new challenge. There is as much purpose in painting a fence as there is in helping out at a parent’s office.